There are many software for Windows to download which has different features, some are paid, some are free while some are trial which expires after some time, practically making it a paid software. What if we can alter the software and use the Trial Software Forever Without Expiration even if it's trial time is over and we don't need to pay to continue using any premium features. That's what you will learn from today's PC Trick, relax and enjoy! There are two software reviewed below which helps you time stop software and extend its trial period. These software are free and easy to use, still working as of the time writing this post. There is no guarantee it will work for all software but the majority will be affected by the app positively. This software works similar to Time Stopper for Windows, it stops the time of trial software and extends the expiration date forever. You don't need to purchase the full version, just keep on using trial forever. Note that some trial software has limited features which cannot be accessed except you purchase the full version. 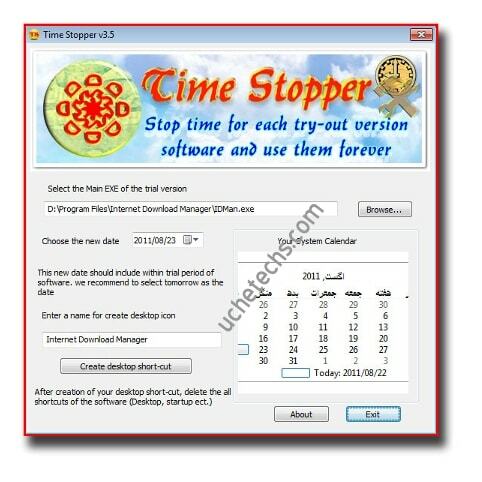 Time Stopper and Runasdate software are very easy to use, it's interface is nice and it works for any software. 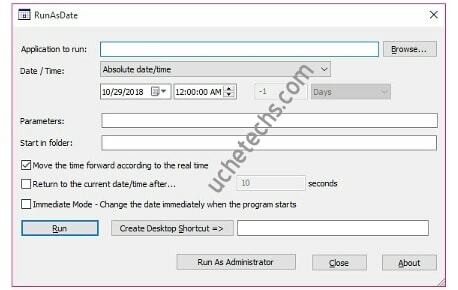 With the help of this software for windows, you can extend and use trial software forever without expiration or even pause the time. If you have some other cool software, comment them below, don't forget to share.